Published on January 29, 2015 January 27, 2015 by Rachelle J.
Thursday’s Things is the replacement for the 2nd half of Tuesday’s Tunes and Things. I rounded up quite a few bookish links for this first “Thursdays Things” that I hope you enjoy as much as I did. Sunnydale Library Candle – For those book lover’s who are also fans of Buffy the Vampire Slayer. Westeros.org – Find anything you can think of about “The Song of Ice and Fire” series. I love Matilda by Roald Dahl more than any of his other books, and not just for the story, the message, or the title character, but because it spoke to me, as a child, in a way that so many of the other books I had read, before and after, did not. I felt like an outsider in my family and at school. Even though my parents weren’t anything like Matilda’s parents, and I never came across a Miss Trunchbull at school, I was the target of a considerable amount of bullying, and at one point I really wondered if I had been adopted. Sometimes I even wished I had been adopted; at least then I’d have an explanation as to why I was so different. There’s a lot more to my childhood than I can, or am willing to, write about, but suffice it to say I found quite a bit of solace in Matilda. Of course, my favorite quotes from Matilda are those involving Matilda’s love for books. I LOVED the library when I was a kid, especially when I got old enough to go by myself. I could, and many times would, spend hours looking up and then reading books about whatever subject had grabbed my mind at the time, or whichever fiction author’s books I was currently interested in. Nobody bothered me, and I could disappear into other worlds. The same held true for my bedroom, as long as my sister wasn’t around. What is it about the combination of a hot drink and a good book? For whatever reason, the two just go together, regardless of the time of year. I don’t care if it’s the middle of a Texas Summer, I’m having a hot chai when I go to the bookstore’s cafe, and if they make it correctly, it will be just cool enough to drink by time I’ve stopped sweating. With my course load this semester, I only have about 30 minutes before bed in which to read something that isn’t school related, but those 30 minutes curled up on the couch with a book and a blanket are still glorious. I truly feel bad for people who don’t see any value in books or think reading is a waste of time or a sign of laziness. Tuesday’s Tunes is the replacement for Tuesday’s Tunes and Things. The other half will be Thursday’s Things. Yes, I know podcasts aren’t really “tunes”, but a Google+ community I belong to, as well as the Sword and Laser book club, have been discussing the podcasts the members listen to. 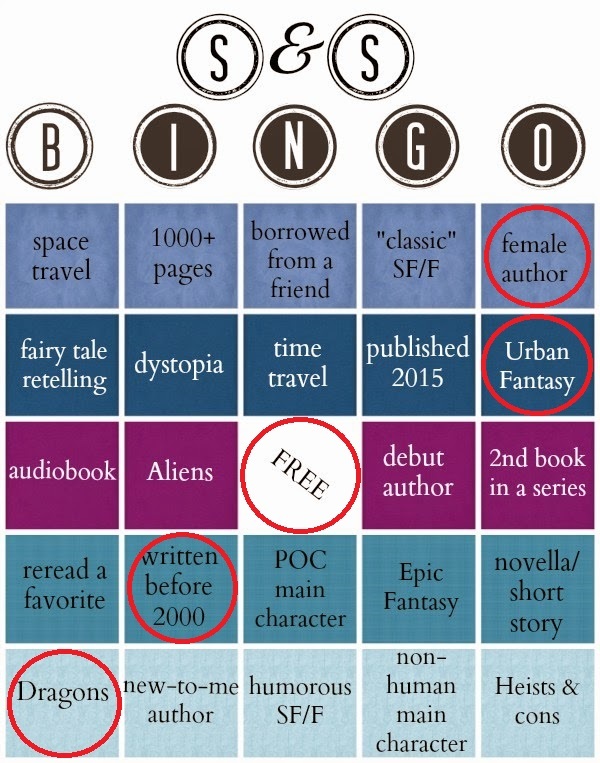 One had an emphasis on bookish podcasts, and the other on Science Fiction and Fantasy, along with some general Science ones. Oh, the podcasts I discovered! I’ve listened to more podcasts than I have music since then, so I decided to share my favorites with all of you. Welcome to Night Vale – Lovecraftian fiction told as an evening talk radio show for the fictional town of Night Vale. You can start at the very beginning on their Youtube channel. Bookrageous – general bookish discussion. Overdue – a discussion of a different book each episode. Nerdette – Not really bookish, but they do discuss interesting topics every episode that often involve books and comic books. Sword and Laser – Companion podcast to the Sword and Laser book club on Goodreads. Dear Book Nerd – They answer a couple questions each episode about anything bookish you can think of. The Writer and the Critic – 2 different books are discussed each episode, which are apparently every 2 months, giving you time to read the books if you want. In Our Time – Not completely bookish, but the archives will let your History, Philosophy, Culture, and/or Science Nerd run free. 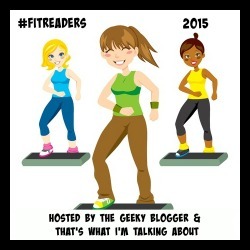 The Readers – General bookish discussion. The Incomparable – Not entirely bookish, but they discuss all things in geeky media. The Functional Nerds – Also not entirely bookish, but they discuss all things Sci-Fi and Fantasy. Escape Pod – Science Fiction stories. This check-in is for Jan. 19th – 25th. My goal for this week was an average of 4K steps per day, and since I hit that goal, I’ll be working towards 5K steps per day from Jan. 26th – Feb. 1st. I’ll add 1K steps each week until I’m completing 12K steps per day. After that, I’ll add in resistance training and/or jogging. The Boyfriend and I have been going to Hot Yoga classes since last Monday, and WOW! They are the most difficult yoga classes I’ve ever been through. If you’d like to add me as a friend on FitBit, you can find me HERE. I participated in another Work Week Hustle Fitbit challenge last week, but I placed last. The other participants really knocked out those steps! I hope to do better on the next challenge. Despite not doing so well in the challenge, I did increase my total mileage, and I more than doubled the number of floors I climbed. I know that’s mostly due to being back on campus, which is nothing but hills and stairs. Let’s just put it this way, I carry a towel with me in my bag, regardless of the weather, so I can mop up all the sweat when I get to class. I’m not looking forward to when it starts getting hot again. Published on January 26, 2015 January 25, 2015 by Rachelle J. Currently Reading: The Very Best of Kate Elliott, a review book, The Sparrow by Mary Doria Russell, which I’m reading for the Sword and Laser bookclub, and Little Women by Louisa May Alcott for The Classics Club. Finished: The Eterna Files by Leanna Renee Hieber, which I’ll be reviewing on Feb. 3rd. Winter 2014-2015 COYER Progress: I’ve read 7 books towards my goal of 10, and participated in 2 read-a-thons towards my goal of 3. I participated in the Twitter chat on Saturday, but I still need to do a mini-challenge. Total number of books for the year: 7. I’m still ahead of schedule, but I don’t know how long that will last. 2 of my 4 classes this semester are requiring me to write 20 page research papers on top of all the normal coursework that comes along with the typical college class. Due to this, I’ve already made the decision to cut Friday’s Fairy Tales down to every other week, which is why there wasn’t a post on Friday. I may end up doing the same with Wednesday’s Words. I know this will likely hurt the blog, but earning my degree has to come first. The amount of reading I get done every week will suffer too, since most days I’m only reading for about 30 minutes before I go to bed. I was invited by the publisher through Netgalley to read this book in exchange for an honest review. Several months ago, I read Lisa Goldstein’s The Red Magician. I enjoyed it enough to accept the publisher’s invitation to read this book, and I’m glad I did. It had none of the faults that I had found with The Red Magician, and it was also a very different book. Though both stories involve magic, that’s where the commonality ends, and if I hadn’t already known that they are by the same author, I would’ve never guessed it. I also wouldn’t have guessed what the story would ultimately be about by the title, and I find it funny how my mind interpreted the synopsis to mean that this book fit very well into the Fantasy genre. As I said, there is the element of magic. There is also a labyrinth, and the two are connected in an interesting way, but that’s it for the Fantasy part of the story. It’s more of a Mystery novel than anything else. It’s also about a young woman trying to find where she belongs in the world. Four things that I loved about this book are the interesting chapter titles, the 90’s setting (especially seeing the main character, Molly, and the private investigator, John Stow, doing research in a library instead of on the internet), Molly isn’t a Mary Sue, and the fact that, unlike so many other genre books involving a male and female duo, Molly and John don’t fall in love over their shared interest in solving the mystery. I also enjoyed that, even though I had my suspicions about how the mystery would be solved, there were enough “suspects” and possibilities to make me unsure all the way up to the end. I will definitely be checking out more of Lisa Goldstein’s books, and even though it’s too early to tell, I might be adding her to my favorite authors list. There are too many “types” of readers I think would love Walking the Labyrinth as much as I did. So, I’m not going to name them. Just read the book. It has been in print since 1996, so I’m sure you can find it at a library if you think you might not be one of those readers. Published on January 22, 2015 December 14, 2015 by Rachelle J.
I have very mixed feelings about this book that, unfortunately, lean towards the negative. While the plot, pacing, and quality of writing were all good, the overall story felt like Harry Potter fan fiction, or maybe just a condensed rip-off of the series altogether. I love Harry Potter, but I get extremely irritated when authors take a great book or series or whatever, change the names and details just enough to avoid plagiarism, and then sell it as their own. Steven V.S. made enough changes, basically playing a game of opposites, for me to question if that’s what he did, but then almost immediately say to myself, “No, that’s [fill in Harry Potter character or plot point], I KNOW it is!” It was aggravating enough to make it difficult for me to stay in the world of The Kingdom Lights. Now, if he had somehow taken the Harry Potter story and made it better, or at least equally as great, then I’d be much more forgiving. However, that’s not the case. If you put this book toe to toe with Harry Potter, it will be found wanting. If you don’t care about reading a knock-off, and you love Fantasy, especially Middle-Grade or Urban Fantasy, then feel free to give this book the chance I don’t believe it deserves. Try to find it at your local public library, instead of buying it. *Note: some of these quotes may have come from the Disney adaptations and never appeared in the book. Though I distinctly remember them, my memory is fuzzy, and my copy of the book is in storage. I can’t recommend Feast of Fates to anyone, but if you decide to read it anyway, please understand that “trigger warning” is an understatement for this book. I’m not even going to give it one star. This check-in is for Jan. 12th – 18th. My goal for this week was an average of 3K steps per day, and since I hit that goal, I’ll be working towards 4K steps per day from Jan. 19th – 25th. Every week I reach my goal, I’ll add 1K steps until I’m completing 12K steps per day. After that, I’ll add in resistance training and/or jogging, depending on how my knees are doing. The Boyfriend and I will also be going to Hot Yoga classes starting today! If you’d like to add me as a friend on FitBit, you can find me HERE. I wasn’t feeling well this week, so I didn’t get nearly as many steps as last week. However, I’m participating in another Work Week Hustle Fitbit challenge that started today, so I’ll be moving around a lot more. I only came in 7th place for the last challenge, so my goal is to at least place that or better.